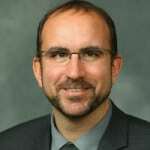 Deryk Beal, PhD, R-SLP, CCC-SLP, joins Peter Reitzes to discuss brain imaging research, related research and stuttering. Dr. Beal is asked about structural and functional brain imaging research with people who stutter. Dr. Beal is asked to consider this research in relation to gender, severity, recovery, persistency, covert stuttering (passing as fluent), singing, cerebral dominance, other speech disorders (such as apraxia), treatment, relapse and much more. Deryk also discusses deep brain stimulation and direct current stimulation. DR. DERYK BEAL is an Assistant Professor in the Department of Speech-Language Pathology and Audiology and the Executive Director of the Institute for Stuttering Treatment and Research (ISTAR) at the University of Alberta in Edmonton, Canada. Dr. Beal’s research program aims to understand the neurobiological origins of speech production, stuttering and associated disorders of speech motor control at multiple levels of organization. Deryk’s ultimate goal is to leverage this knowledge for improv cal treatment via genetic risk assessment for dysfluent speech and the development of novel pharmaceutical and neurorehabilitative interventions. Beal, D. (2011). The advancement of neuroimaging research investigating developmental stuttering. Perspectives on Fluency and Fluency Disorders. 21(3). 88-95. Beal, D. (2013). Brain development in stuttering. Stuttering Foundation Newsletter, Winter 2013. Chang S, Erickson KI, Ambrose NG, Hasegawa-Johnson MA, Ludlow CL. (2008). Brain anatomy differences in childhood stuttering. NeuroImage. 39(3): 1333–1344. Chang S, Kenney MK, Loucks TMJ, Ludlow CL (2009). Brain activation abnormalities during speech and non-speech in stuttering speakers. NeuroImage. 46(1): 201–212. De Nil LF, Beal DS, Lafaille SJ, Kroll RM, Crawley AP, Gracco VL. (2008). The effects of simulated stuttering and prolonged speech on the neural activation patterns of stuttering and nonstuttering adults. Brain and Language. 107(2): 114–123. Kell CA, Neumann K, Von Kriegstein K, Posenenske C, Von Gudenberg AW, Euler H, Giraud A.(2009). How the brain repairs stuttering. Brain. 132(10): 2747–2760. Watkins KE, Vargha-Khadem F, Ashburner J, Passingham RE, Connelly A, Friston KJ, Frackowiak RSJ, Mishkin M, Gadian DG. (2002). MRI analysis of an inherited speech and language disorder: Structural brain abnormalities. Brain. 125: 465–478. Watkins, K. (2008). Mind over white matter: Differences in brains of young people who stammer. Speaking Out, Spring Edition (a publication of the British Stammering Association), 14-15. Deryk conquering the stuttering wildness (2010). Stuttering Brain Interview with Dr. Tom Weidig. 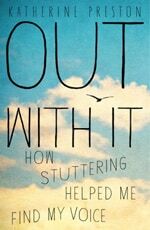 Next week StutterTalk is scheduled to speak with Katherine Preston, author of the beautifully written, forthcoming book Out With It: How Stuttering Helped Me Find My Voice.